A little roundup of my upcoming events for you today - there are lots of opportunities to get crafty and to shop over the next couple of months! First up, this Saturday 6 May I return to Crafty Fox Market for my first market of the year. This one is at a new (to me) venue in Bethnal Green - it looks gorgeous and there will be 75+ makers to shop with and workshops too! 11am - 5pm at Oval Space. Then it's my next workshop - I'll be making lampshades again at Love Art in Tooting on Saturday 27 May - make sure you book this one as it was popular last time! The following day, Sunday 28 May, I'll be teaching you how to design, paint AND make your own lampshade at Art Rebellion in Coulsdon - this one will be really fun, a little messy and includes lunch! On Satuday 17 June, as part of the launch of Creative Happy London, I'll be spending the day at Gabriela Szulman's studio in Camberwell teaching three stitched jewellery workshops - you can choose from 10am, 12noon or 2pm start times (and you can save a whopping 50% on the workshop fee with the code camberwellfest so what's stopping you?!). 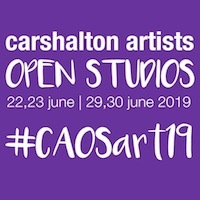 We then have 2 full weekends of Carshalton Artists Open Studios! I'm really excited to be involved in this inaugural event - you can find me popping up at 133a Stanley Park Road - find all the details here (and catch up on my studio tour posts here and here). Barely time to breathe, and then the next Saturday 8 July, I'm back in Tooting to teach the stitched jewellery workshop at Love Art. 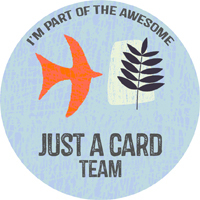 And back to Camberwell on Saturday 15 July for more Creative Happy London fun! I'll be teaching two workshops on this day - hand stitched tote bags and lampshades. Bookings open soon. Then it's the summer holidays... phew! So plenty of opportunities to get involved with something coming up - get your diaries out and get booking!